Do you frequent local farmers’ markets? Are you a fan of Florida-grown fruits and vegetables? (There are over 300 of them grown here.) Are you trying to cook healthier meals, but not sure where to begin? As part of our service to the community, our free monthly Teaching Kitchen class is here to help you take positive steps towards a more balanced and healthy eating style. This interactive learning session is usually held on the first Thursday of every month from 5:30 to 7:00 p.m. at our Women & Children’s Center in Winter Haven. 1. What’s on your plate? If half of your plate is filled with vegetables and fruit, you are on the right track. The other half should have one-quarter protein and one-quarter grains/starch. 2. Don’t forget your dairy. Foods like low fat milk, cheese, low fat yogurt and fortified soy beverages (soy milk as a dairy alternative) help to build and maintain strong bones. 3. Drink water. Here’s a tip: keep a reusable water bottle with you and drink it throughout the day. This will help you reduce consumption of other sugar-added drinks that are empty calories, such as soda, sweet tea, and others. 4. Know how much to eat. Serving sizes and focusing on eating less processed, healthier foods is also important. Factors to consider for appropriate serving size are age, height, weight, and daily activity level. Here at Central Florida Health Care, Inc., we can even help you come up with individualized meal plans. 5. Be physically active. Strive for 30 minutes of purposeful physical activity/fitness at least 5 days per week. Your body will thank you in return. For over 46 years, Central Florida Health Care has been providing high quality, compassionate care to the Polk, Highlands, and Hardee communities. Your health and well-being is our highest priority. For more information on our 12 locations, the nutrition services we offer, or to schedule your appointment, call (866) 234-8534 or visit our website at cfhconline.org. We hope to see you at our next free Teaching Kitchen! This column is sponsored by Central Florida Health Care, Inc. and the opinions expressed herein may not reflect those of CFHN or of its advertisers. 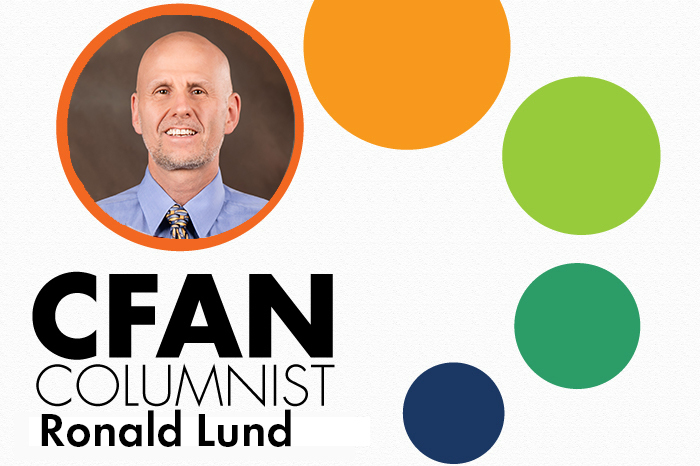 BIO: Ronald Lund is a Registered and Licensed Dietitian/Nutritionist at Central Florida Health Care, Inc. serving patients at all 12 locations in Polk, Highlands, and Hardee counties. For more information, please call (866) 234-8534 or visit cfhconline.org. For any Teaching Kitchen questions or to RSVP for a class, please call 863-444-0492.